Last season’s Randox Health Grand National hero Tiger Roll is set to lead a formidable team into battle for Gordon Elliott as the trainer eyes a third victory in the Aintree showpiece next spring. The fresh-faced former amateur rider had not even trained a winner in Ireland when Silver Birch landed the world’s most famous steeplechase in 2007. Wind the clock forward a decade and Elliott is firmly established among the training elite, with his staggering rise through the ranks seeing him push perennial champion Willie Mullins close for the Irish trainer’s title in each of the last two seasons. Despite his success, Elliott’s appetite for winners remains as strong as ever and he would love to be stood in the hallowed Aintree winner’s enclosure once again come April 6 next year. He said: “The Grand National is the one race that everybody knows and of course it’s a race that everyone wants to win. “We have been lucky enough to win it twice, and you kind of pinch yourself hoping you can win it three times. 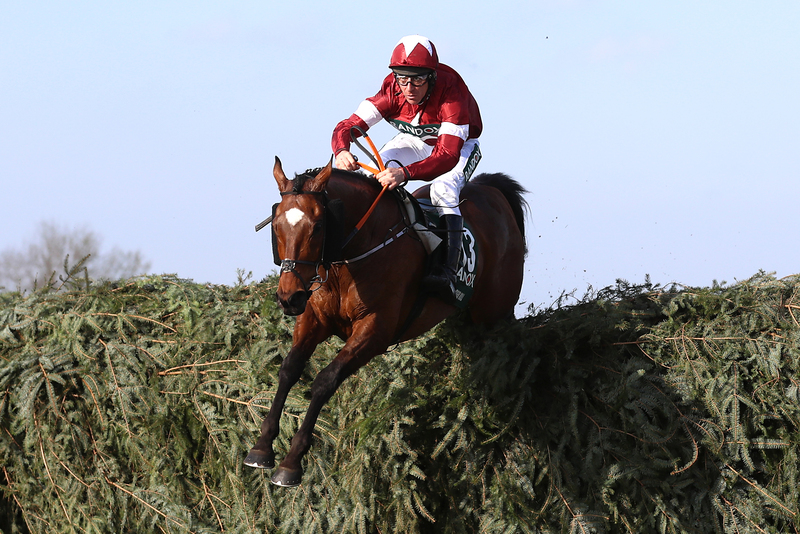 The diminutive Tiger Roll brought the house down when seeing off the Mullins-trained Pleasant Company in a pulsating renewal of the Grand National eight months ago. The eight-year-old warmed up for his Merseyside mission by winning the Glenfarclas cross-country Chase at the Cheltenham Festival and shaped with plenty of promise on his first start since claiming Aintree glory when fourth on his return to Prestbury Park last month. Silver Birch also used the cross-country chase at the Festival as a stepping-stone to National glory and Tiger Roll is set to head down the same route. “Tiger Roll will go to Cheltenham in December and Cheltenham in March. The cross-country fences seem to work for some horses. It’s something different and keeps them alive. It keeps their mind going and is a good prep for the National fences,” said Elliott. “You just hope they take to the National fences, but until they go out and jump the first three or four, you don’t know. “Tiger Roll is a little bit special. He’s not the most impressive horse to look at and probably one of the smallest we have, but he wears his heart on his sleeve every day of the week and he’s a great bit of stuff. “The cross-country race in Cheltenham will be his Gold Cup. He gave almost two stone to a lot of horses on his first run back and I thought he ran a very good race. Tiger Roll is far from Elliott’s only National hope. Other potential runners for the Cullentra maestro include last season’s third Bless The Wings, Irish Grand National winner General Principle and, perhaps most interestingly, French recruit Borice. Owned by Simon Munir and Isaac Souede, Borice has shown high-class form in his homeland and has pleased Elliott since arriving in Ireland. He said: “At the first entry stage for the National we could have between 10 and 15 entries, and end up having four or five runners. “Tiger Roll obviously will go back there, Outlander I’d imagine could run in it and Bless The Wings was third in it last year. “Mala Beach, Monbeg Notorious and Woods Well are others and Folsom Blue could go if he gets in. If it was soft ground and he got in, Folsom Blue would have a great chance. The Welsh National is the plan for him. “General Principle won the Irish National this year. He doesn’t show much at home, but he could be another one for Aintree. “Borice is a horse we got from France this year and I think he could be a dark horse for the National. He would probably need to go up a few pounds to get into the race and, all being well, he’ll go for the Paddy Power Chase at Leopardstown over Christmas. “He ran in a lot of good staying chases in France. He was hitting the crossbar in a few of them, but I think he could be a National type of horse. Two other Elliott inmates who could enter the frame for the National are Don Poli and Noble Endeavor, who are set to tackle the famous Aintree fences in Saturday’s Randox Health Becher Chase. Don Poli will be returning from a 664-day absence, having been sidelined by injury since finishing third in the 2017 Irish Gold Cup.